I pre ordered this album and I looked forward to receiving it with great excitement this album is quite important to me on a personal level. I was very angry to learn that the album had been delayed either due to a manufacturing fault or a delivery delay. With that out of the way came a nationwide postal strike, and I hope for all post men and women out there that their issues are addressed properly as the Royal Mail is normally a premier service. Finally the album arrived on my door mat and I opened the jiffy bag it was in, and WOW!!!!!!! Ordering the deluxe version meant just that you received a deluxe product, It is a hardback book that holds a CD in a paper sleeve at the front and a DVD at the rear in a paper sleeve much in the same way as the extra’s hard back books in the Genesis studio box sets. 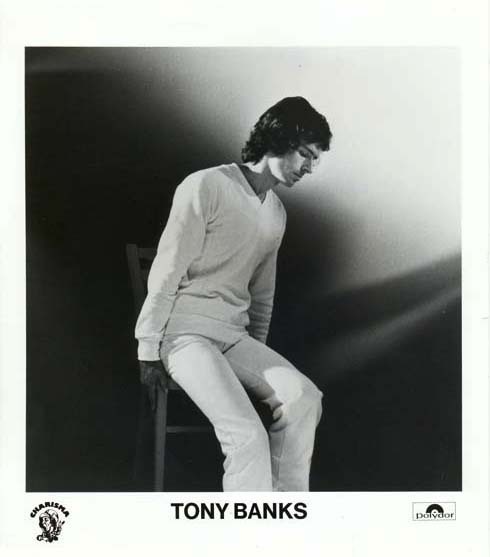 In between the discs there is an Interview with Tony Banks which is printed in the booklet, Tony talks about the album and the inspiration for the album which was originally FLOWERS FOR ALGERNON a science fiction story written by Daniel Keys. The interview within the booklet is illustrated with photos from the writing and recording sessions in Stockholm and a photo which was a press photo used to promote the album when it was first released in 1979. There is also nicely laid out set of lyrics which are almost 95% correct, and finally a thank you page with and a page with the usual legal and rights stuff on it. There you have it really Oh you want me to tell you how it sounds? Well I never really bother with a stereo mix of anything if there is a superior surround sound 5.1 mix to listen to so it’s the surround sound mix I shall be talking about. Ok from the opening moment of “From the Undertow” to the closing moments of “In The Dark” your in for an aural treat of much clearer vocals and percussion it would seem to my ears that the muck that buried a lot of the clarity of the whole album has been scrubbed clean. That is not to say that there is not anything new for the ears because most of the percussion seems to have become clearly and the bass either from the synthesizers or bass guitar seem to be stronger and ideally placed now. Nick Davis has worked some glorious magic on the whole album, yet he has not squashed or killed any of the spirit of the work either. If you liked Nick’s work on the Genesis catalogue in surround sound then you will appreciate the work and skill that has gone into this. The surround spacing is ideal considering the age of the album and it works mostly, with Kim Beacon’s vocals nice and clear this time as well so much so that you can hear him annunciate the words quite well. I get the impression that the surround sound version is a limited run so if I were you I would grab an aural delight before they sell out. Highly recommended to anyone who likes Science fiction or Tony Banks and even some of the latter 70’s elements of Genesis. Sadly at this moment in time Tony Banks does not appear to have an official website but from time to time you can find out information about him on the Official Genesis website.